What the bleep is wrong with this country? Why do we have such morons on the U.S. Court of Appeals in the District of Columbia? It’s like they were Casey Anthony jurors. Today, they overturned the conviction of Islamic terrorist Salim Hamdan, Osama Bin Laden’s driver, ruling that terrorism “didn’t constitute a war crime” at the time that Hamdan provided material support for terrorism to Bin Laden and Al-Qaeda. Huh? How was that not a war crime . . . ever? It’s like saying the OctoMom doesn’t have a lot of kids. Or that Joe Biden’s plugs aren’t hair implants. Under our absurd Bush-Obama “Gitmo terrorist catch and release” program, Hamdan was long ago sent to Yemen, where he is probably planning his next attack (or planning it from elsewhere, as we now have no idea where he is). But the decision is important for the precedent it sets. And it’s ridiculous. Read the court’s decision. The three judges who decided this case and concurred in the decision included Reagan appointees Douglas Ginsburg (yup, the guy who withdrew from Supreme Court consideration after his pot-smoking days as a Harvard prof came to light–perhaps marijuana had even longer lasting effects than we knew) and David Sentelle and George W. Bush appointee Brett Kavanaugh. I read the decision and it rests on the assertion that “providing material support for terrorism” was not a specified “war crime” and, therefore, illegal, until AFTER Hamdan committed it. Huh? How on earth would that not constitute a war crime? Who didn’t specifically include it in the delineated “war crimes”? It doesn’t make sense. I’m against ex post facto laws that charge someone for past behavior that wasn’t illegal at the time it was committed. But this is ludicrous and absurd. What people don’t get–nor did these judges–is that the whole reason that the ACLU and other terrorist special interest groups filed this case was to prevent non-U.S. citizen terrorists, such as Hamdan and Khalid Sheikh Mohammed, from being tried in military tribunals. They want them tried in circus trials in federal court. (Under federal law, providing material support for terrorism has been a felony crime for many years, so this would not have been an issue there.) And, today, they got a major victory in that direction. A U.S. appeals court on Tuesday overturned the conviction of Osama bin Laden’s former driver and bodyguard, Salim Hamdan, on charges of supporting terrorism, in a long-running case emerging from the American military trials at Guantanamo Bay, Cuba. The U.S. Court of Appeals for the District of Columbia Circuit concluded that providing support for terrorism was not a war crime at the time of Hamdan’s alleged conduct from 1996 to 2001 and therefore could not support a conviction. Human rights activists hailed the ruling as a blow to the legitimacy of the military commission system. 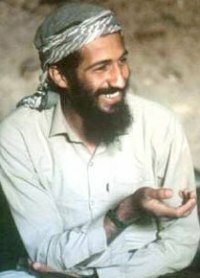 Hamdan was captured at a roadblock in Afghanistan in November 2001, not long after the U.S. invasion of that country following the September 11 attacks on the United States. In the first U.S. war crimes trial since World War Two, Hamdan was convicted in August 2008 of providing personal services in support of terrorism by driving and guarding bin Laden, the al Qaeda leader who was killed in a U.S. raid in Pakistan last year. Hamdan was sentenced to 66 months in prison but given credit for time served at the U.S. detention facility at Guantanamo Bay. 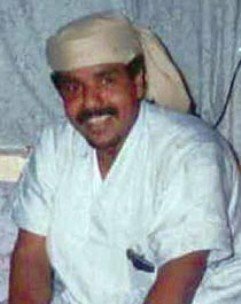 He was returned to Yemen in November 2008 and set free in January 2009 to live with his family in Sanaa. . . .
At the trial, prosecutors said Hamdan was close to al Qaeda’s inner circle while his lawyers asserted that Hamdan was simply a driver and mechanic in the motor pool who needed the $200 monthly salary. Hamdan won a prior victory in 2006 when the U.S. Supreme Court scrapped the first version of the Guantanamo court system. After that Supreme Court decision, Congress passed the Military Commissions Act of 2006, which listed a number of specific new war crimes that could be prosecuted by a military commission, including providing support for terrorism. The government refiled charges against Hamdan under that new law. He was eventually convicted on five counts of providing material support for terrorism. . . . The appeals court . . . concluded that the military commissions act did not authorize prosecutions for conduct that occurred before the law was passed and that was not prohibited at the time it occurred. . . . The decision strikes a blow to the legitimacy of the military commission system and calls into question prosecutions of offenses that are not internationally recognized war crimes, said Raha Wala, a lawyer with Human Rights First. To date, most of the military commission cases have been based on charges of material support or conspiracy that were added by the 2006 statute, he said. “All of these prosecutions are now in jeopardy,” Wala said, including the ongoing prosecution of Saudi prisoner Abd al-Rahim al-Nashiri set to resume at Guantanamo next week. Sadly, based on my reading of the decision this Muslim lawyer for Islamic terrorists is right. We have bozos for judges. Men (and women) who do not care as much about the safety of Americans as they do about the supremacy of their court system (the federal one) over military tribunals over which they should have no power or say-so. More big-time terrorists will go free over this. And more Americans will die. Thanks, men in black robes. Thanks a lot. Uh, and we’re supposed to vote for Republicans because of the judges they’ll appoint? And I guess the ‘expansive’ role of law only occurs when it is rights that are being expanded, not obvious crimes. A new right is always ‘implied’ in past decisions, but, oh no!! Don’t imply the existence of criminal activity from past decisions or laws. I tried to access the link to the court opinion, but couldn’t connect. Sadly, not a big surprise. The federal courts have been a sick joke for a long time. Far, far too academic in their approach. Real world implications? What are those? You can only blame the Republicans to a certain extent. The fact is, that the right talent is simply not out there. Consider whom—these days—would want to be a judge, and why they would want to be one in the first place. I’m NOT a survivalist, but when they come, I have a 360 degree, 300′ kill zone, and will protect my wife and our property. Time to get tough on these lice. Look, the idea that we restrain the courts by the expedient of having a Republican prez in the White House has always been ridiculous. This is but one means of doing so–and not the most powerful. Unless I am completely wrong–and I await correct from an expert in these matters–court jurisdiction is determined at bottom by the legislature. The courts should be barred from handling these cases in the first place. Unlike a constitutional amendment, this is perfectly feasible. AND, it demonstrates the checks-and-balances concept very well. No other branch needs to defer to the Supreme Court as the final arbiter of what is constitutional. Not a bad solution – this does not require a US Constitutional amendment, and preserves state autonomy. – can’t convict ex post facto – if it wasn’t a crime at the time, you can’t convict. Going back for a “do-over” to get a conviction in such a case doesn’t work. – Practical – MANY female servicewomen serve in transport functions. If drivers were guilty of material support, then our enemies would just start convicting them in military tribunals, and shoot them. By doing this, we give another layer of protection to our troops. They consider EVERYTHING America does as “terrorism”. The decision simply said one can’t be convicted for something that wasn’t illegal at the time it was committed. At least that is the essence of the US District Appeals Court’s decision in overturning the conviction of Bin Laden’s driver. But here is where they lost me. Terrorism or an act in support of it has ALWAYS been illegal. I don’t understand how they arrived at that holding regarding ex post-facto in today’s decision. Is it is me or is it them? I’m not an attorney but I can tell there is a clear legal and moral difference between a legal act and a crime. I wonder if these judges even know Islamic terrorism – AKA piracy has been an offense against the law of nations and more specifically, against US law going to back to the Barbary Pirate days. What Al Qaeda did up to 2001 was no different than what pirates did back in the 18th Century. What has changed? I’d love to know. G-d, we are blessed with judicial bozos in our country! REAl Conservatism is as rare as rocking horse sh**. So called “Republicans” can go Liberal but we never hear of a Liberal going Conservative. Ever. Yet all we hear about (especially now) is how extreeeeeeeeme and “radical” right wingers are. IF ONLY! And Jim Quinn says that the ACLU now is full of Islamists and Dhimmis and that now is their number one (clandestine) objective. People who are on the bench are not always of the highest caliber. To a mediocre attorney, a lifetime appointment with even fairly low pay would be attractive. The worst ones are usually at the district court level. If someone hangs around there for decades and they are not independently wealthy, you probably have a life challenged attorney presiding. This truism dissipates as you move up to the appellate level, but not completely. These people can be frauds like David Souter, or those who are in over their heads like Thurgood Marshall. That is why I view life tenure on the U.S. Supreme Court and its inferior courts to be a retrograde practice from an eighteenth century. The terms served should be fixed at say 15 years, and be non-renewable. That reform would assist with keeping senility and political patronage under some control. Although I am not an expert, I have the same understanding as skzion re Congressional oversight of the courts. as head of the Senate Judiciary Committee. politician’s mind in recent years. Arlen was his Rabbi. the war against the islamic supremeacists soon after 9-11 when Bush said islam means “peace” and he then protected arch-terrorist Yassar Ara-rat. and arms islamical terror groups. The Gitmo gang will soon be freed and provided with piles of backsheesh (tribute) before then get first class tickets to rejoin the war on the US, Israel and the West. That’s the dumbest thing I’ve ever heard happen in America!! And for the millionth time. MUSLIMS AREN’T TERRORISTS, TERRORISM HAS NO RELIGION AND IS NO RELIGION ALONE. Tell that to your co-religionists Muslim. Unless of course you consider beheadings, suicide bombings, honor killings, and other lovely activities to be halal. Save the taqqiya/kitman for the ignorant or craven. Sleep in a kennel with dogs. Maybe their better character will rub off on you. This is the problem with the USA government is THEY WILL NOT CALL A SPADE A SPADE. Naming is very important because once you name the person you have the truth of what this person is all about in front of you. So give the name for the person and put terrorist next to it and then go after what terrorists strive on to do their dirty work: money. Always follow the money. And by the way when I speak about naming i ALSO mean all shady organization , like CAIR for example, should be brought in the open for people to see. And individuals as well. I saw , on u tube, the interview of CAIR executive Michigan director by Barry Rosson on TV3. Is was edifying how ignorant this man was about CAIR. He praised CAIR for all its good work in the community. Unbelievable. there you are CAIR was not named for what they really like: A front for Hamas and other terrorist organizations. Has anyone figured out we’re not playing under the same “rules of engagement”? Times and acts of terror/war have changed and the manner in which we deal with them has to change relative to it. If you’re going to conduct a war against terrorism and its components, then start by throwing out the old rules and deal with it for what it is. All this mamby-pamby and PC nonsense has to go along with the trolls that idolize it. It’s served only has a black eye and embarrassment to this nation which needs to be feared again, more than ever, by the fanatics who want to destroy us and our way of life. I hope that the next Jihadi who slips by the FBI manages to blow up this court, and the judges who delivered this ruling. Irony wouldn’t even begin to describe it. Alhamdillulah! john dewey must be removed from the class room and all law schools then maybe these fools can learn how to think. This is why you keep this out of the court system period, you deal with these muslim terrorist in a military/intelligence matter not a law enforcement solution. You simply shoot the bastards where you find them, wring them dry first for information and make them dig a grave and a pork chop and bullet ends it all. The only good muslim terrorist is a dead muslim terrorist, to give them any type of protect under any law is an abomination, and effing spare me the high moral bloody ground. Fk them and love ours. Enough of your anti-islam/arab hate-speech, Schlussel. People who listen and believe in what this zionist wackjob has to say are what’s wrong with this country.